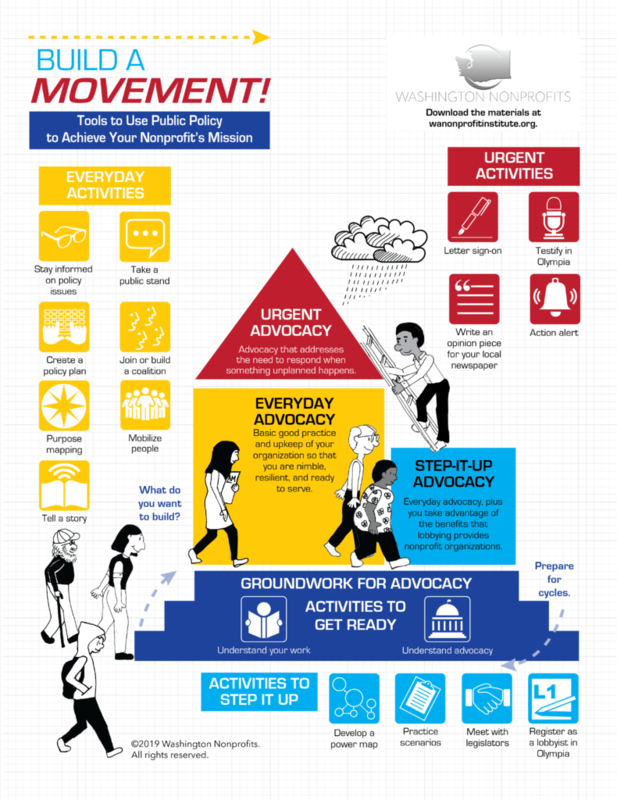 Coming soon to the Washington Nonprofit Institute, the Build A Movement! interactive graphic will allow you to explore tools to use public policy to achieve your mission. Here’s a preview — find out more by exploring the PDF guides at Build A Movement!